Really looking forward to this I'll go to Helsinki gig, how about you? Chris is bringing his acoustic #HigherTruth tour to Europe in 2016. Following the huge success of his recent US tour, Chris Cornell will bring his critically acclaimed 'Higher Truth' tour to Europe, starting on 23rd March in Reykjavik, Iceland, before crossing the continent. Produced by Brendan O’Brien (Bruce Springsteen, Pearl Jam, Neil Young), 'Higher Truth' showcases Cornell's constant evolution as a master songwriter, lyricist and musical craftsman – telling human stories which transcend musical genres. Inspired by the stark arrangements of musicians like Nick Drake, Daniel Johnston and White Album-era Beatles, Cornell creates a musical universe unlike anything he has done before. Highly recommend going. I went to a number of the US shows and he's sounding really amazing and in good spirits. I saw him on the last UK tour and It was fantastic. I can't make this one as i'm travelling at the time. Might try for the Utrecht show. I'll be trying for the Royal Albert Hall, that could be a special night! I got tickets for Royal Albert Hall. Messed up a bit as I thought Stalls seats would be at the front, but these were the 'Arena' seats. Still got good seats on the side though. Can't wait! Oslo, Norway. I like music. Yeah, for some reason the pre-sale for Oslo was immediately open when the email arrived. It was clearly marked as the others - sale start on Wednesday morning - but somebody fucked up obviously. Well there was lot of happy Norwegians in FB's Scandinavian PJ Fan group already on Monday.. I'm gonna see him in Zagreb for the first time. I can't wait. Have you ever been to the venue in Helsinki? Named after the great work of Sibelius? Anyhow I'm looking forward to a trip to Helsinki again. First time in 15 years. Nope. I've never visited this venue before. I've heard the name was chosen to represent Finland as a whole rather than as a reference to Sibelius. House was designed by late master architect Alvar Aalto. It looks beautiful, though. Just checked the seating availability now as the general sales have started today. There's only 4 seats left on the floor and roughly estimated 40-45 in the back of balconies. Looks like it will be sold-out show. Cheers for your information. Sounds good. Rest of the free seats had been sold over the weekend, so sold-out gig in Helsinki. Apparently also Stockholm and Oslo as well. Zagreb was sold out in 3 hours. Wasn't expecting it would be any different. Good luck with the flight! Thanks, got them sorted out few minutes ago. Flying in midday on Monday, well in time before the gig. Didn't cost too much despite the holiday season Hotel to be booked later. Got my ticket for the Royal Albert Hall! Looking forward to it! 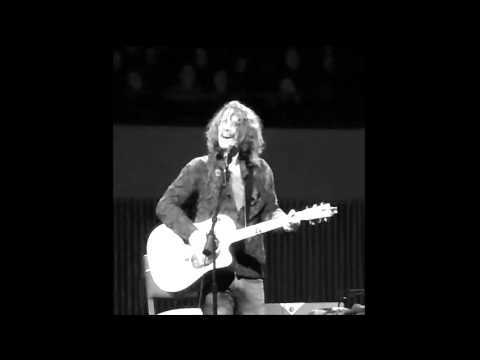 I saw him when he played an acoustic show at The London Palladium back in 2012, a month before the mudbath that was Soundgarden in Hyde Park! I saw Chris last night, and wow! What an amazing show! Due to phenomenal demand, Chris Cornell has announced a second live show at DR Koncerthuset in Copenhagen, Denmark on Saturday March 26. Fan presale begins at 10am on Saturday November. Tickets go onsale to the public on Monday November 16 at 10am. Will see him in Zagreb! Show was sold-out in 3 hours or so, lucky I got my ticket on time! 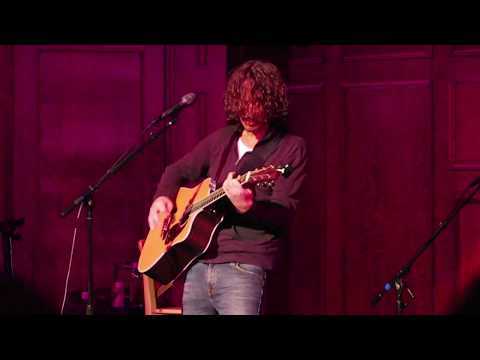 Chris Cornell has added a new show to his European tour this Spring at the Roman Theatre, Plovdiv, Bulgaria on May 10! A special fan presale runs from on February 9 at 10am local time, to February 11 at 10am local time. Hunger Strike is the song I hope I will hear. They got it in Reykjavik. The song you guys really want to hear is Like Suicide So amazing with the cello! Soon off to the venue here in Helsinki! Stoked! I took some footage during the show in Copenhagen, I am the highway. That's it though, not much for taking pics and stuff but had to document something from the night, it was great!! Also, the cello rendition of Fell on black days was immense.